Italy is a growing industry with many opportunities for new businesses.There are many factors that can greatly impact business practices and policies in certain places, especially in places like Italy, where tradition is strong and rich. Italy is a country with a wide range of industries, including iron, textiles, food and wine, and a large regional economic gap. All these factors play into how Italians operate and manage their businesses. 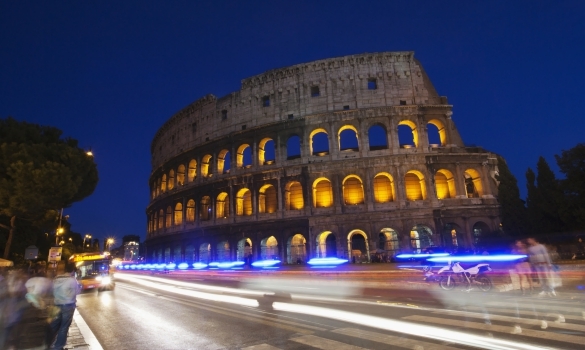 Checkout this guideline for doing business in Italy. Religion plays a big role in Italian culture. The majority of citizens are Roman Catholic, guiding many personal, professional and employee advocacy decisions. Additionally, you should learn to avoid scheduling meetings on religious holidays. Holidays include Easter, Christmas and All Saints’ Day. Moreover, there are often individual saint’s days and festivals that people observe. December 7 in Milan is St. Ambrose Day, and Carnivale takes place in Venicein February. When doing business in Italy, it is important to know the religious traditions of the country and the area. Culture can greatly influence how a place conducts business. Language is a big part of culture. As with any two different languages, miscommunications can occur. Some Italian phrases may not directly translate, or have specific connotations. Italians also use hand gestures to communicate. Familial relationships are very important to Italians, as well as physical appearance. It’s important to present yourself cleanly and sharply. You should also remember that Italy’s currency is the Euro, and familiarize yourself with conversion rates. You will show a level of respect for Italian businesses if you research important pieces of Italian culture before doing business there. Italian business focuses on relationships. Italian business often has a vertical hierarchy. Although the Italian people are expressive and warm, power and age are highly valued. You need to build trust with the people you are conducting business with. Punctuality is a sign on respect and can greatly impact relationships, so show up early to business lunches, meetings and appointments. Always provide a firm handshake and use the proper title when addressing new people. Moreover, Italians can interact differently than Americans in business. Interrupting is more common, and it is not necessarily considered rude to have a brief side conversation in a meeting. Italians communicate in a distinct way, so be prepared to observe what is and isn’t acceptable in business relationships. When in doubt, be overly polite. The procedures for starting a business in Italy are considered more strict and lengthy than those in America. There are strict government standards regarding construction permits and property registration that can delay the process by 3 months. Taxes are high, and businesses must pay them fifteen times a year. The north parts of Italy are more industrialized, while the unemployment-heavy south focuses more on agriculture. As with doing business anywhere, you should be aware of the restrictions others face. Additionally, it’s important to keep up to date on the European Union standards since Italy operates as part of the EU despite the Brexit impact. It is imperative to research the restrictions facing Italian business owners in order to properly communicate with business owners. Northeast America has a reputation as a fast-paced, all-or-nothing business environment. Italy has a different way of doing things. They don’t mind taking their time making decisions, and last-minute changes are more common. Refrain from rushing people, as it can come across as desperate or rude. Instead, focus on fostering a productive and creative discussion. Take into account all the things mentioned above, as business may be discussed over a meal, glass of wine or other places to tour Italy as mentioned here: https://www.gadventures.com/destinations/europe/italy/. You’ll have to use your best judgement, but be as flexible and accommodating as possible when doing business in Italy. Business owners typically focus on attracting a wide demographic and market audience in their operating country. The thing we don’t often think about is conducting business in other countries. Italy has many incentives for new businesses, and can be a rewarding place to conduct business. Especially, if you have serviced offices, it can set up a great environment. You should research a little about Catholocism first, as well as professional appearance in Italian business, to better respect the culture. Be respectful of elders and professionals as well. Understanding the business culture in Europe and Italy in particular can help you communicate better. Try to be flexible with meeting times and negotiations. When doing business in Italy, make sure to follow these guidelines to learn the most about and best navigate the culture, people and location.